Every healthy woman is born with a pair of ovaries. Once she reaches puberty (reproductive age), the ovaries release an egg every month that becomes an embryo if fertilised by sperm, or is shed as menstrual blood if unfertilised. 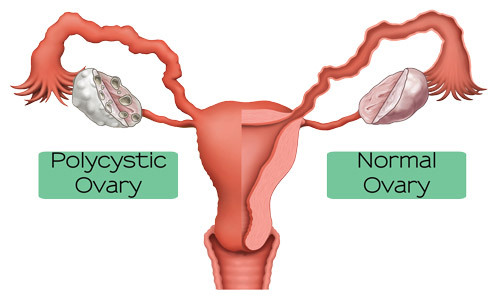 Polycystic ovary syndrome (PCOS) is a condition where there are growths of cysts in the ovaries. They disrupt the normal functions of the ovaries, leading to hormonal imbalances. This in turn leads to other serious medical problems such as diabetes, heart disease and infertility. It also changes the way a woman looks and feels, as she begins developing more masculine features. Conception can only take place when a woman has healthy eggs, which are released on a regular basis. 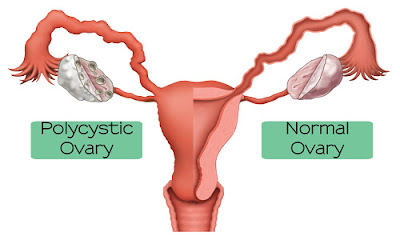 With PCOS, the cysts in the ovaries interfere with egg production. This results in irregular periods, leading to problems with conception. The risks are higher in women who are older, overweight or have family history of infertility. Insulin is a hormone that helps metabolise sugar from the food we eat and transforms it into energy and cell renewal. People with insulin resistance have trouble metabolising sugar in the body. As a result, the sugar accumulates in the bloodstream instead of being used up. Over time, insulin resistance leads to diabetes, which damages body cells such as the nerves, kidneys, eyes and sexual organs. In women with PCOS, the cells that are responsible for insulin production (beta cells) are not functioning as they should. Beta cells work to detect sugar in the bloodstream. When they are not working as they should, the body releases more insulin than is necessary. The additional sugar in the bloodstream is stored as fat. For women with PCOS, losing weight seems an impossible task no matter how they manage their diet and exercise. This is related to the body's inability to metabolise insulin, as the excess sugar is not transferred to the abdomen and hips, increasing the risk of getting metabolic disease, thereby also putting them at a higher risk of heart disease and stroke. Women with PCOS also have slower metabolic rates, so they need less calories daily compared to women without PCOS. PCOS also disrupts the functioning of the hunger and appetite hormones (ghrelin and leptin), making these women feel hungry all the time. The sense of fullness is less sensitive hence the brain does not release signals to stop eating. The high levels of insulin in the bloodstream caused by PCOS causes the ovaries to make more testosterone (male hormones), causing these women to grow hair on the upper lip, chest, back, arms or legs. 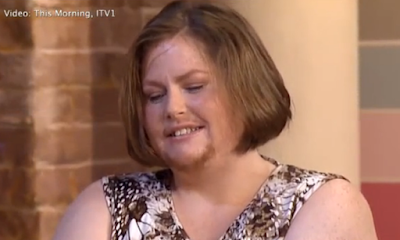 Hirsutism, or excessive facial and body hair, happens when androgens (another male hormone) causes body hair to change from vellus hair (thin, light hair) to terminal hair (thick, dark hair). Many PCOS-related conditions go unnoticed because many women are unaware they have PCOS. Tackling the symptoms is only a short-term measure, as they will return for as long as the PCOS is not treated appropriately. Treatment for PCOS is categorised into medications and lifestyle changes. This increases the risk for endometrial cancer and iron deficiency. Doctors may recommend birth control pills, skin patch or vaginal ring containing a combination of oestrogen and progestin to regulate menstrual periods. But being on birth control medication means you will not be able to conceive while taking these medications. Doctor may recommend clomiphene, to increase the production of eggs and increase chances of conception. If it doesn't work, the specialist may recommend follicle-stimulating hormone and luteinizing hormone medications that are administered by injection to help with ovulation. Doctor may recommend medications to control androgen production but it may cause birth defects in unborn babies. Medications such as metformin that improve insulin resistance may be recommended to slow down the progress of diabetes. Lifestyle changes are necessary to enjoy a good quality of life, as PCOS is not curable. Weight loss is important as obesity worsens insulin resistance, affects ovulation and has significant impact upon self-esteem. Exercise is very important to manage PCOS because it helps control blood sugar level. Use a smaller plate to help reduce portion sizes. Stick to 1 helping each time. Choose complex carbs e.g. whole grain breads and cereals, whole wheat pasta, barley, brown rice and beans. Avoid simple carbs e.g. fruit juice, cake, ice cream, pies cookies and doughnuts. Avoid dairy products and refined products e.g. processed meats, fast foods, snacks and junk foods. Check for deficiencies of magnesium, zinc, calcium, vitamin B, vitamin D and essential fatty acids. You can see that it is very difficult to manage PCOS - you have to take medications, change your diet, and change your lifestyle. Medicines give you a lot side effects and there are long-term implications. Dietary and lifestyle changes are not only difficult to start, it's even harder to maintain and some of us don't have the luxury of time to make those changes. Try Yung Kien Ganoderma and Yung Kien Pollen. "Ms A suffers from PCOS since she was young. She has been taking birth control pills and many other medication to address this condition. On the 4th month, she continued with the same dosage and also underwent laparoscopy procedure. By the 5th month, she was happily pregnant. Despite her age, the pregnancy is very smooth, she didn't experience any morning sickness, she hardly falls sick and she has good energy." Ahhhhh.. a happy ending. The solution is simple, painless, doesn't require medication and lifestyle changes and it works! She regulates her hormones and addresses any vitamins/minerals deficiencies at the same time. Please email me at askfuiping@gmail.com to purchase Yung Kien Ganoderma and Yung Kien Pollen to handle your PCOS condition. I am an Authorised Distributor.